My name is Heather Holmes, I have 3 girls and one wonderful husband. 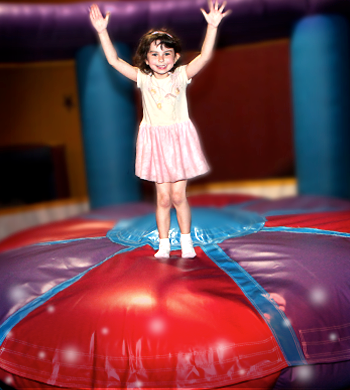 I started my 8 year journey with Pump It Up in theTrussville, AL location which sold October of 2013. I now own the Pelham, AL location and just recently bought the Huntsville, AL store. I LOVE Pump It Up! 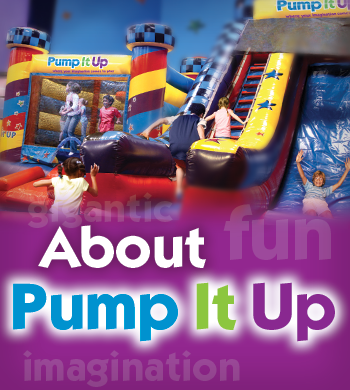 Pump It Up is a family friendly business all the way around. It starts in the parking lot with an enthusiastic greeting and ends with help loading up all your goodies from the party. Also, if you are blessed to be in this franchise then you see the family relationship is from the top of the franchise down. Our store was 7th to open and has a wonderful reputation of providing a super fun place to create memorable experiences. I thank God for giving us this great vision and helping us find a perfect fit for our family, we try to help every party have wonderful lasting memories.